The national Flag of Turkey is the Symbol that identifies Turkey internationally. The national Flag of Turkey consists of a half moon and a white star on a red background. The most widely believed legend, however, is that Mustafa Kemal Ataturk, the founder of the Turkish Republic, walked a battlefield one night after a victorious combat during the Turkish War of Independence, and observed the reflection of a star and the Formation of crescent on a vast background of blood on the ground of a rocky hill of Sakarya. 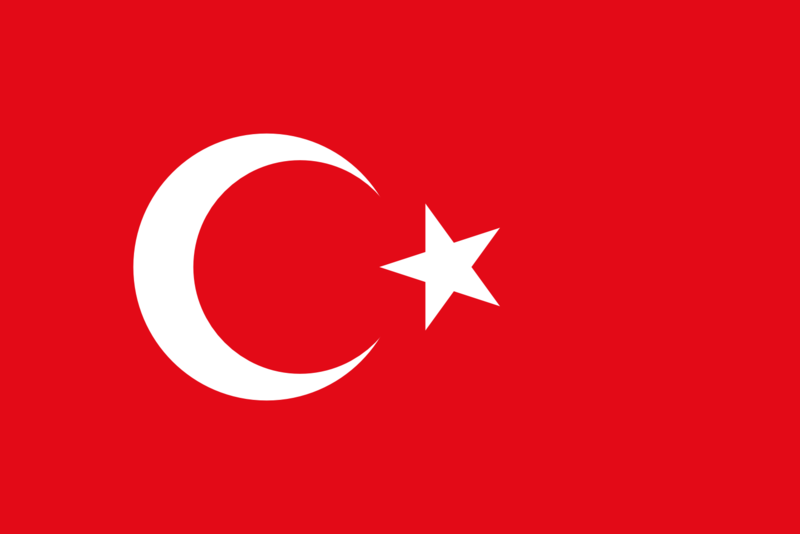 The national flag of Turkey is called Ay Yıldız (in Turkish: moon and star) or Alsancak (in Turkish: Red flag). This emblem was adopted in 1876. The flag has a complex and uncertain origin, since it is an old design, being almost identical to the one of the last flag of the Ottoman Empire. Red is a predominant color in Turkish history, especially if it is related to the bloody battles of the Turkish War of Independence. The crescent and star together, which are commonly regarded as Islamic symbols today, have long been used in Asia Minor long before the advent of Islam.